2017 has me into the habit of making my own nut milks. 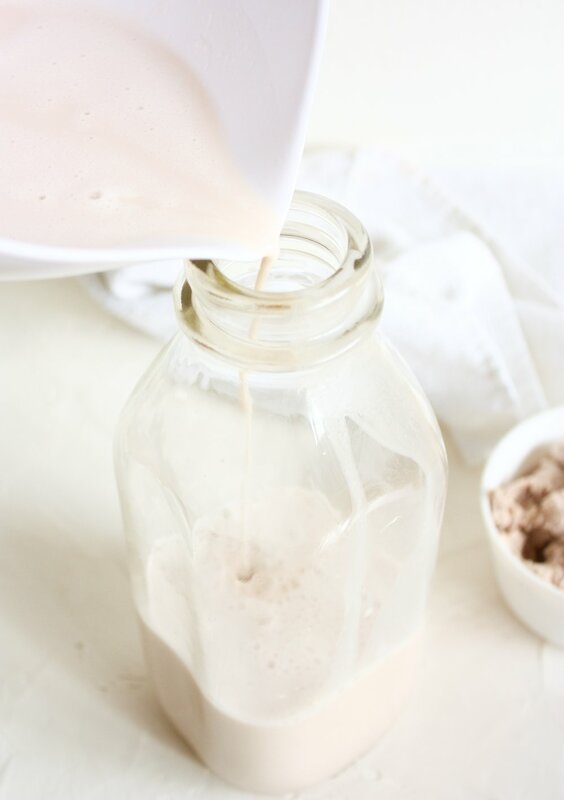 Hands down there is no comparison between homemade nut milk and store-bought. It's unbelievably creamy and flavorful without added emulsifiers and coagulants. When you find a coffee shop making their own nut milk, you know they're serious about the full taste experience of their beverages. If you're up for this process, know that it's actually easy. If you can swing it, buy sprouted nuts (or sprout your own). Sprouting nuts and seeds makes them easier to digest and their nutrients more bioavailable for absorption. Soak nuts in 4 cups of filtered water and a pinch of sea salt overnight, drain and rinse. Add to a blender 5 - 6 cups of fresh filtered water and 2 cups of the soaked nuts. Blend on medium/high for 1-2 minutes, the result should be a superfine breakdown of the nuts. Pour the contents of the blender into a nut milk bag over a bowl with a pouring lip. Squeeze as much of the liquid as possible into the bowl, and save the pulp for using later in baked goods. If doing in 2 batches because of the size of your blender, repeat the previous step. When ready, pour the final product into a bottle and refrigerate. Separation in the fridge is normal, just shake before using.